This precious baby gift set for boys includes a baby boy's sleeper crafted in soft velour features a number of delicate details, including a little collar and sleeper soles that are covered with a charming print of chicks and stars; this print also decorates the edge of the collar. A warm and irresistible nighttime outfit for baby boys that's perfect for rounding out the little one's layette. 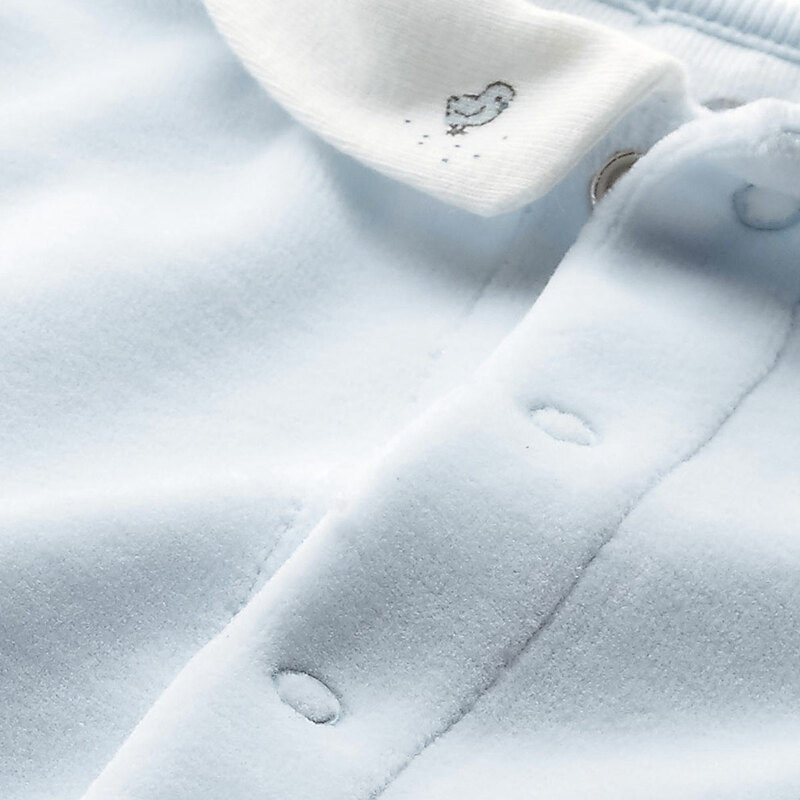 The gift also includes two baby boy short-sleeved cotton bodysuits: one plain white bodysuit, and another with the signature Petit Bateau blue and white milleraies stripes and a "milleraies" stamp-style print on the chest. The ultra-practical envelope neck makes these garments extremely easy to take on and off. 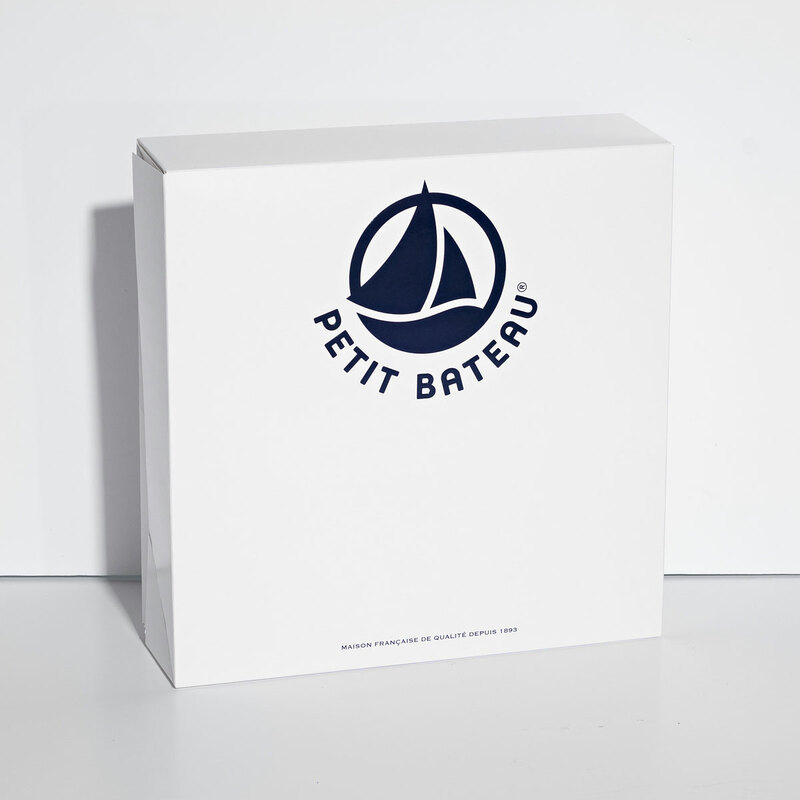 An essential set of baby boy bodysuits with a trademark Petit Bateau look!